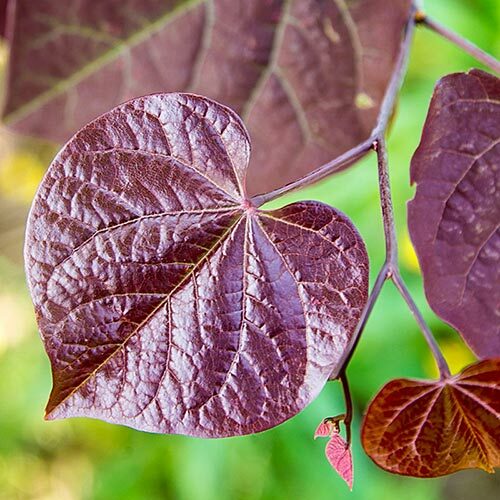 Create dramatic contrast in your landscape with this unique purple-leaved redbud, and embrace its deep coloration—so dark, its leaves almost appear black. 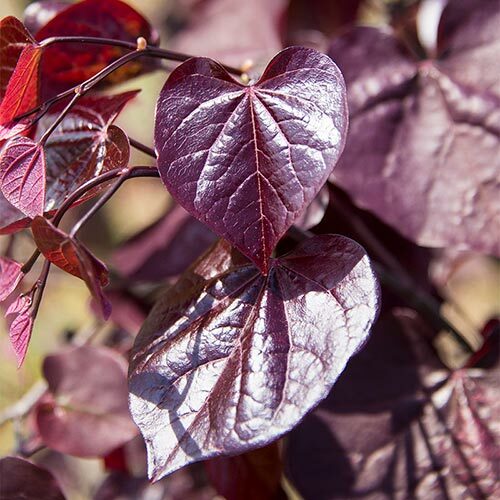 Striking-colored, heart-shaped leaves have a thick, leathery texture that stands up to disease, and an equally dramatic show of lavender blooms precedes the foliage in early spring. Mature tree can reach 20' tall with a 25' spread, creating a bold privacy screen or garden accent with guaranteed color and personality. Its shade tolerance means you can seat Black Pearl™ anywhere in the landscape, but expect best coloration with more sun. Developed by Ray Jackson of Jackson Nursery. Deciduous. 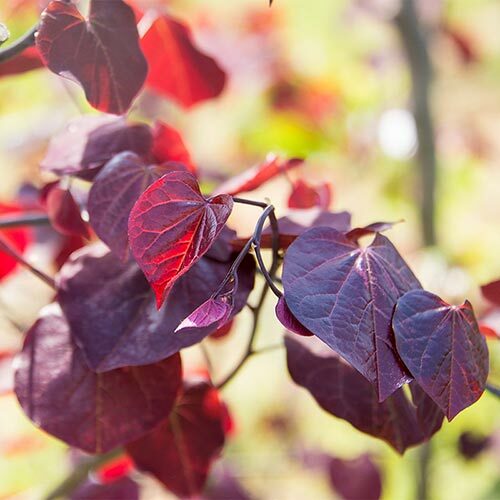 Cercis canadensis 'JN16' PPAF. 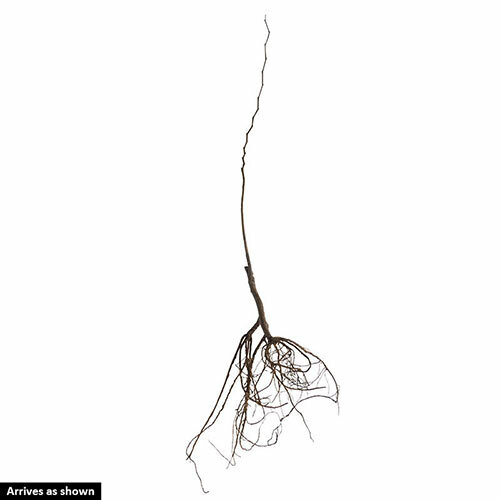 Winter CareYoung plants may need tree guard to protect from rabbit and deer damage. Flower FormThe pea-shaped, lavender flowers are produced along the branches and on the trunk in early spring before leaves emerge. Foliage TypeDeciduous, heart shaped, thick leathery leaves are disease resistant. Deep purple foliage color almost black. Soil RequirementWell drained soil with plenty of organic matter. Unique CharactersticsGreenleaf: A standout from other purple-leaved redbud buds with an extremely deep purple coloration almost to the point the leaves appear black. Reaches 20 feet tall and 25 feet wide. Lavender flowers appear in spring before the foliage.